Puerto Morelos Blog: A.M.P.I. -- Do you know what A.M.P.I. is? A.M.P.I. stand for "Asociación Mexicana de Profesionales Inmobilarios" or the "Mexican Association of Professional Realtors". It's our National Organization for our profession. Members are peer reviewed, abide by a Code of Ethics, and are privy to all of the changes/updates in laws through the continuing education that is offered by through local chapters. As we've discussed in our webinars this month, it is one of the key pieces of information to look for when selecting a real estate professional. At Mayan Riviera Properties, our Broker, Amber Pierce, and Sales Agent, Laura Zapata, are active members of the Playa del Carmen Chapter. 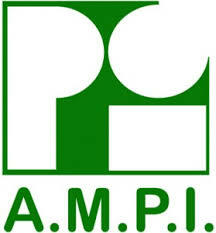 We are proud to say that we are the only A.M.P.I.-affiliated office in Puerto Morelos!